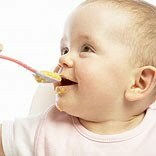 According to a new market research report, ‘Global Baby Food Market (2009–2014)’, the global baby food market is expected to be worth US$37.6 billion by 2014, recording an estimated CAGR of 5.0 percent from 2009 to 2014. The target consumers of commercially-available baby food range from infants (babies aged 6 to 12 months) to toddlers (children up to three years old). Baby food is available in various flavours and in both solid and liquid form. Modern-day time constraints have reduced the use of homemade baby food in both developed as well as developing nations. As young urban women have become increasingly accustomed to using packaged baby food for supplementing breast milk, a large number of baby food brands are focusing over launching different flavour variants and new products in the market. While focus had mainly been on milk formula and dried baby food in the past, several prepared baby food and other baby food products made their appearance on store shelves in the major cities in 2010. Though Baby Food market in India is one of the fastest emerging categories but the government's regulation in India is very strong and makes it tough market to operate in infant foods and nutrition. India’s guidelines regarding the formula for infant foods are stricter than those of some of its neighbors and advertising in the category is banned. While leading supermarket chains such as Big Bazaar launched imported prepared baby food brand Gerber in their outlets in the metro cities in 2010, GlaxoSmithKline Consumer Healthcare Ltd and Cadbury India Ltd launched Junior Horlicks Animal Shaped Biscuits and Bournvita Li'l Champs, respectively, in other baby food. Moreover, within dried baby food, players launched flavour variants such as ‘Mixed Vegetables’ and ‘Mixed Fruit’ as mothers considered these to be highly nutritious. Nestlé India Ltd is dominating the baby food market with a 76 percent value share in 2009. The company enjoys strong brand recall, to the extent that brands such as Cerelac are largely synonymous with packaged baby food in the major cities in India. The company has the largest distribution network among baby food manufacturers and has benefited from the launches of new flavour variants in upmarket urban areas and affordable products in smaller pack sizes in rural areas. Growth in baby food category is expected to be driven by Indian women’s increasing reliance on packaged baby food in the forecast period. As more women take on full-time jobs in the smaller cities and towns and as purchasing power increases, mothers will supplement home-cooked meals for their babies with packaged baby food. The entry of new brands and flavour variants will also boost market growth in the forecast period.